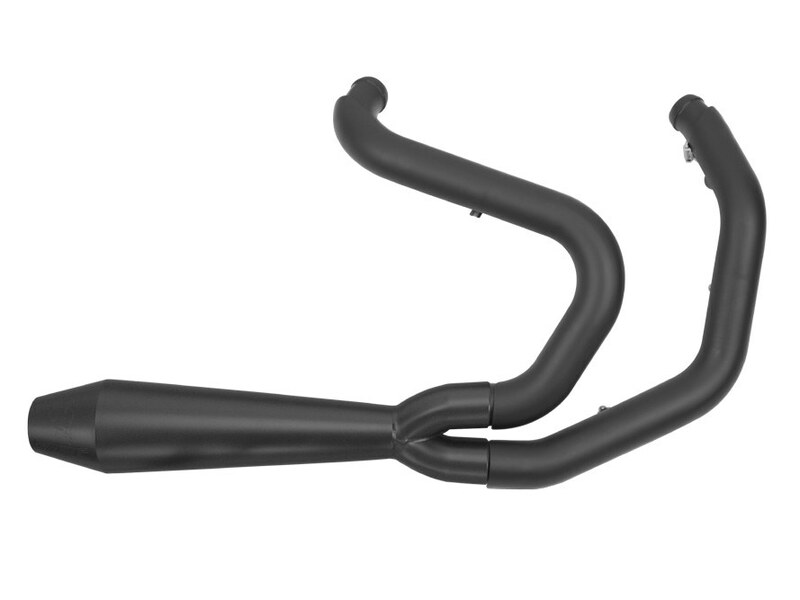 One quick and easy way to increase horsepower on your bike is to install one of our 2-into-1 systems. 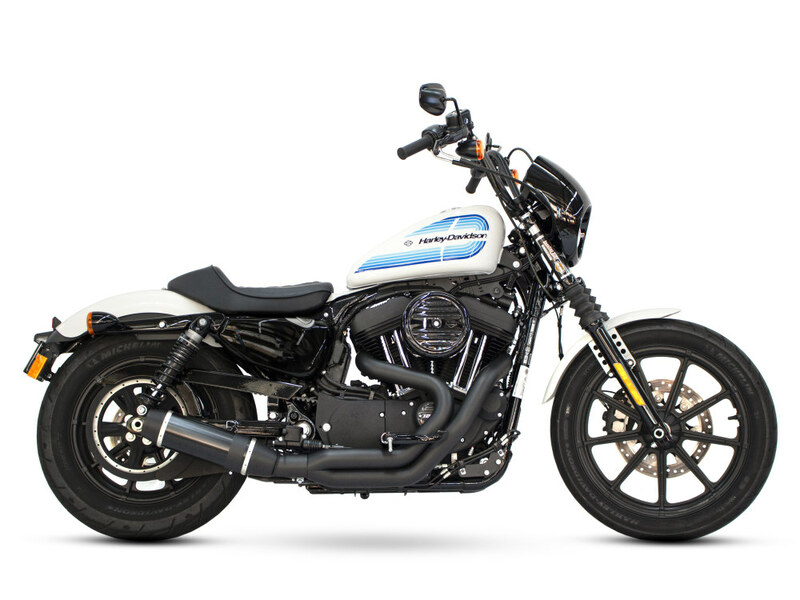 Our new upswept 2-into-1 for Sportsters uses equal length headers, mated to a cone megaphone muffler. 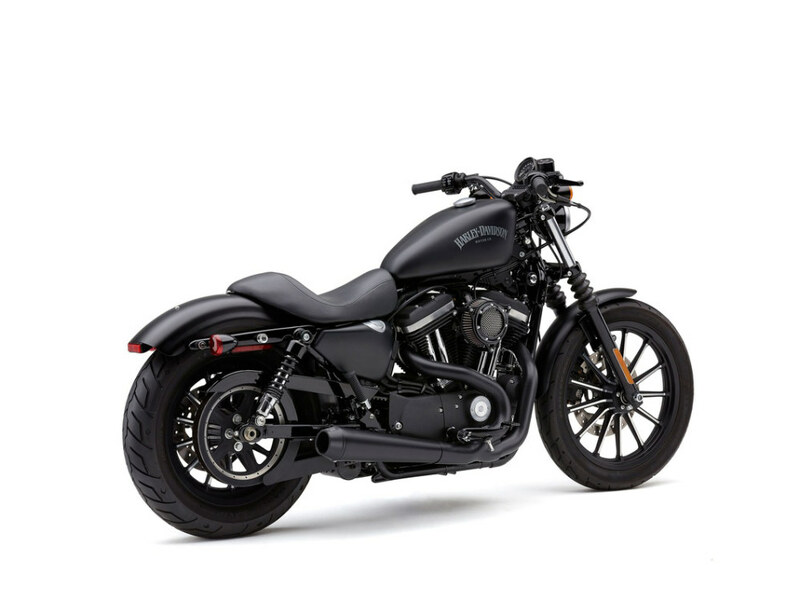 The collector is one of a kind and is placed before the foot pegs, creating the most efficient mating of the exhaust gases, and in turn generating more performance. 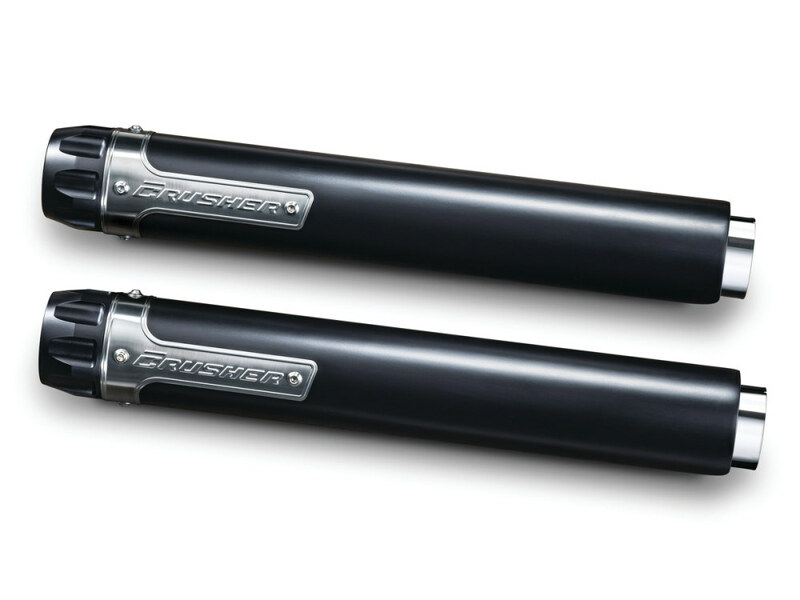 The rear cylinder header runs forward and wraps around the ignition cover for a sleek look. 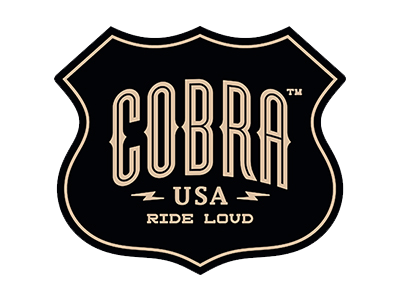 The 4-inch machined aluminum tip is powder coated black, and etched with the Cobra logo. 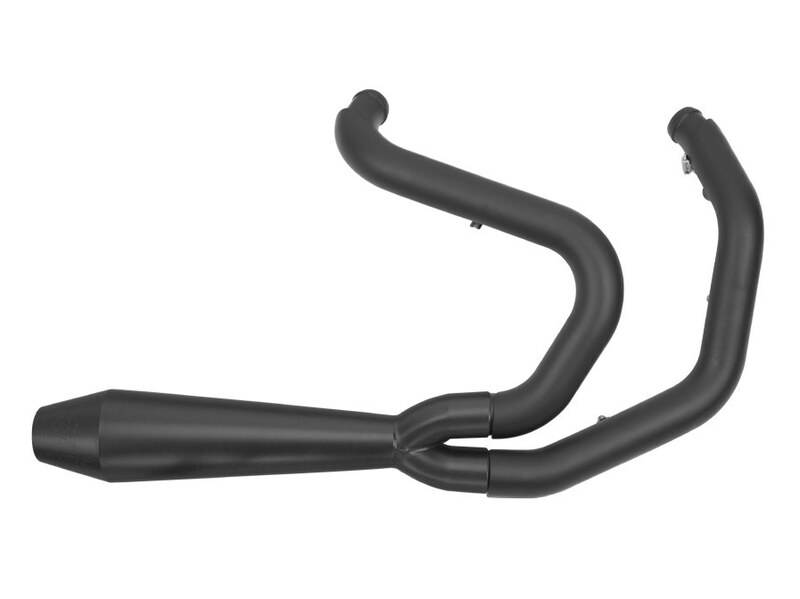 The tips reverse cone shape tastefully compliments the upswept cone muffler. 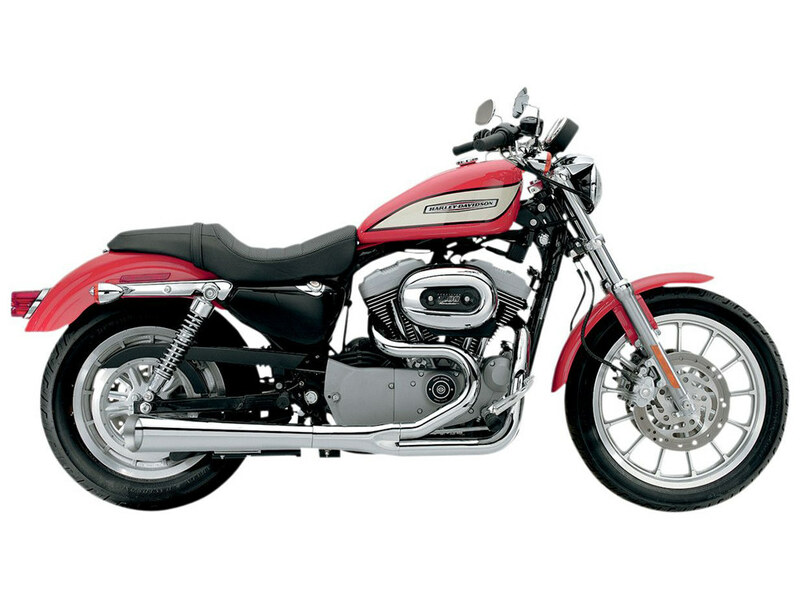 Heat shields cover the exhaust headers and the collector nestles beneath a simple chromed/or black cover.